A three-day weekend is a welcomed time for sellers of Maryland blue crabs. At the fish market in Southwest D.C., people line up for the regional staple at Jessie Taylor Seafood. See photos. 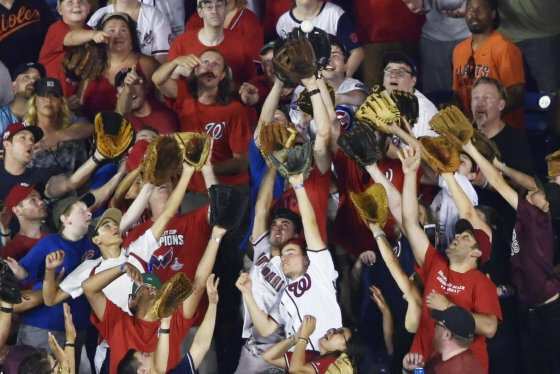 WASHINGTON — A three-day weekend is a welcomed time for sellers of Maryland blue crabs. At the fish market in Southwest D.C., people line up for the regional staple at Jessie Taylor Seafood. “Right now, we’re happy; the Chesapeake Bay is having a good year finally,” said Clarence Goodman, who has sold crabs along the Southwest Waterfront for 47 years. He said after a slower start to the year, which saw lighter than average crab deliveries, things are picking up as the season winds down. More jumbo-sized crabs are coming in, he said, since crabs caught now have had much of the season to eat as they prepare to go dormant during the winter. “They’re the ones that haven’t been caught all year long, and they’ve gotten fat and they’ve gotten juicy,” Goodman said. Though Goodman said the Maryland blue crab catches are good, they also have southern crabs available, which draw in customers because they are, on average, bigger than blue crabs. On Friday afternoon, medium crabs were going for $75 a bushel during a summer that has seen that price top $100 several times. Goodman said bushel prices still fluctuate a lot because what the day’s catch will bring is unpredictable. Also this year, some crabbers have dealt with worker shortages due in part to changes made to the H-2B visa process for seasonal workers. All in all though, Goodman said the season should end on a positive note, especially after this weekend, which historically sees lots of people making blue crab meals part of their end of summer tradition. 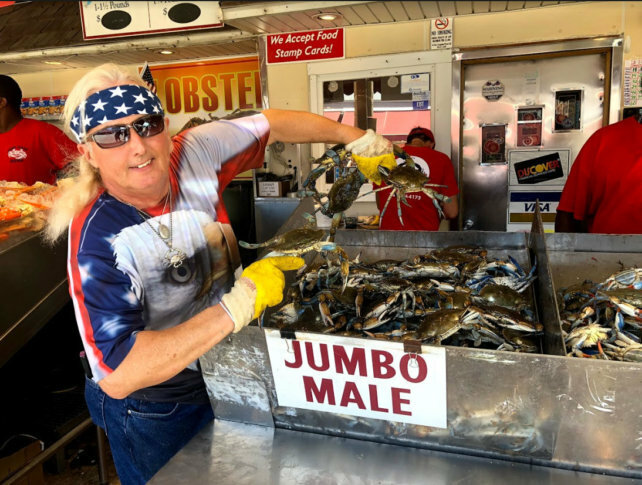 “What we’re trying to get people to recognize is that you don’t have to go the whole way to Ocean City to have a good time with crabs,” Goodman said.